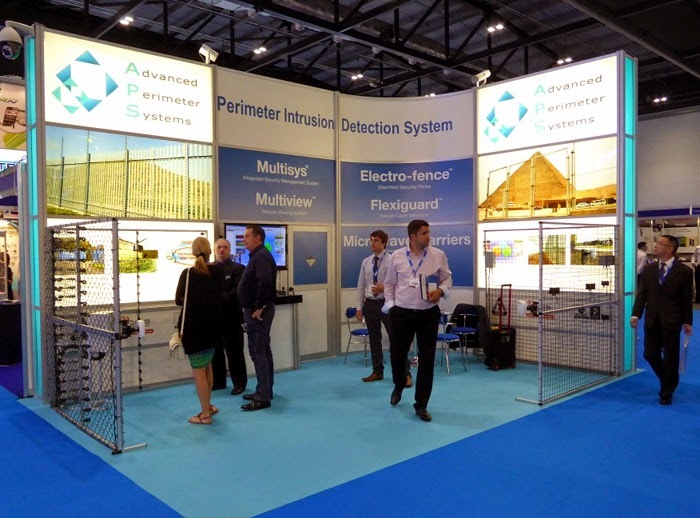 In our post Electric Fence Sensors En Route For London, we offered a glimpse into the work that goes on behind the scenes to prepare for our attendance at IFSEC, the international security trade fair which this year was held in London. 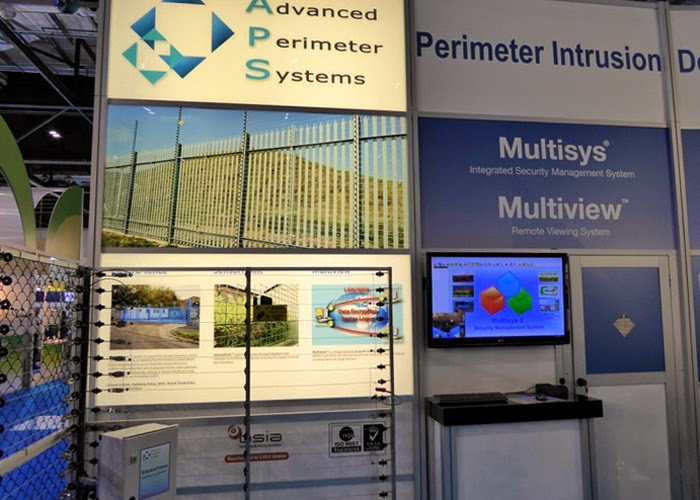 It was 3 days filled with tremendous activity and the Advanced Perimeter Systems personnel at the show were kept busy day after day welcoming many visitors to our stand including potential new customers as well as some existing ones, keen to meet up and continue ongoing discussions. We were also delighted to see some familiar faces from our international distribution network. 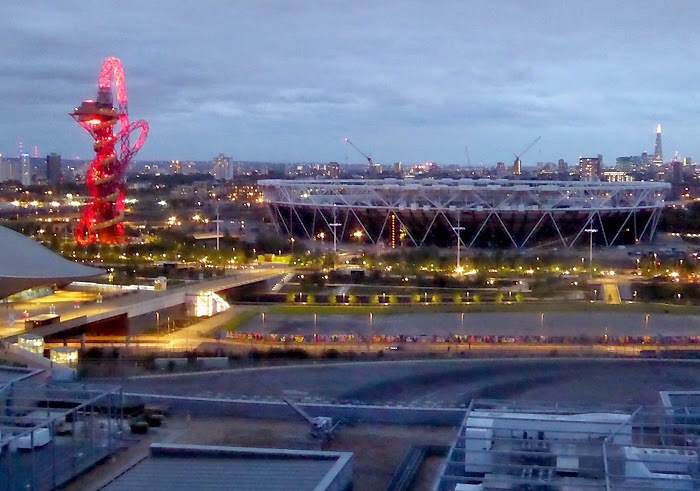 Every day was demanding and by the time the show closed its doors at night, there was little time for relaxation or sightseeing. 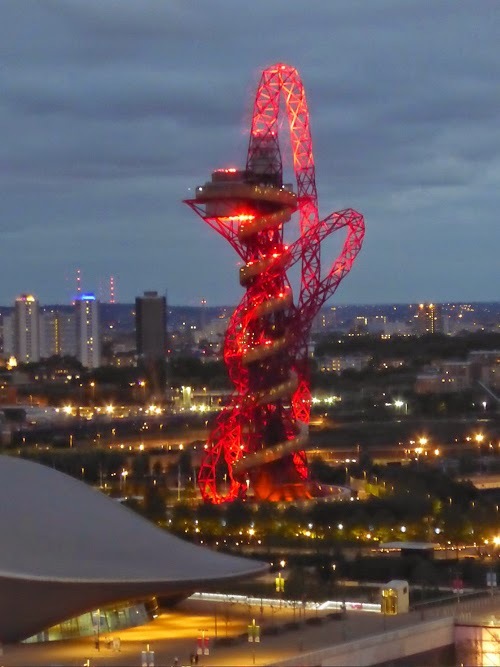 However, our Technical Director Andy Moon did manage to capture some great images of the ArcelorMittal Orbit illuminating the London night sky.